Notes: In order to complete this tutorial you must prepare your computer by installing Flash Builder 4.0+ and Java JDK 1.5 + (including setting the PATH and JAVA_HOME environmental variable settings). You will also need to download and install the Flash Builder 4 extensions for Data Driven Development. 1. 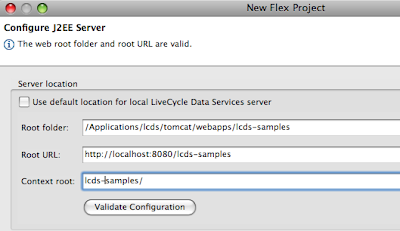 Start the LiveCycle Data Services SampleDB. 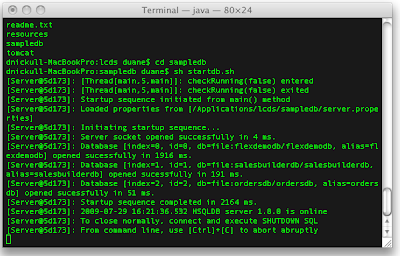 To do this, open a command window (Windows) or terminal (Linux/Mac OS X), navigate to the folder where you installed LiveCycle Data Services, and type startdb (Windows) or sh startdb.sh (Unix based systems). 2. Next, start the LiveCycle Data Services server. This is done by navigating to the [LiveCycle_Data_Services_install_directory]/tomcat/bin and typing catalina run (Windows) or sh Catalina.sh run (Unix based systems). 4. In the next dialog, specify the settings as shown below (default LiveCycle Data Service install) or modify as appropriate for your install. Click “Validate Configuration” to ensure your settings are correct before continuing. 7. Drag public Product into the main panel. 9. IMPORTANT – Save the file! 12. Switch to the main.mxml component and drag a new data grid onto the screen in Design view. 13. Drag the Product database onto the data grid and run the program. 18. Re-arrange the design view and run it again. 20. Run it again and see that you have now the selected item bound to the form. Many things have changed in Flex 4 and with the new Flash Builder 4 Beta, you can already start trying these out. This little tutorial will walk you through a simple FB4 HTTP Service example to explain the differences. If you want to do this, download the Flash Builder 4 Beta. 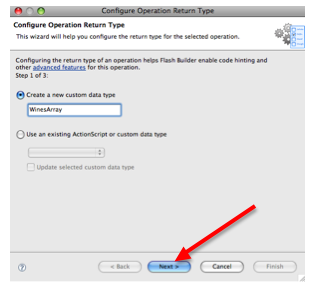 First - there are multiple new namespaces in Flash Builder 4. These appear to be confusing at first but you should not be scared by them. Fx is for the Flash Catalyst packages and contains some new drawing primitives and more. Some of the old namespace qualified elements are now qualified including Script. Flex defines two other sets of components: Halo and Spark. The Halo component sets were included in previous releases of Flex, and are defined in the mx. * packages. The Spark components are new for Flex 4 and are defined in the spark. * packages. The Spark components use a new architecture for skinning and have other advantages over the Halo components. The Halo and Spark component sets contain many of the same components. For example, both component sets define a Button control, TextInput control, and List control. However, while you can use Halo components to perform most of the same actions that you can perform by using the Spark components, Adobe recommends that you use the Spark containers when possible. 1. Start a new project in Flash Builder 4. Select no server type and either option for the AIR/Flash toggle. 4. 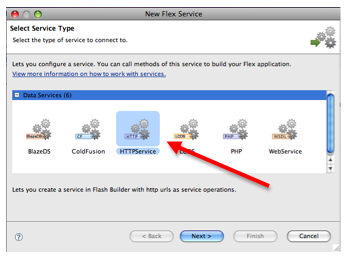 At the bottom of the Flash Builder IDE, click on the Connect to Data Services link shown below. 6. Click “Next” and then fill in the next screen by adding the name of the service (“srv” in this case) and add the URL. 7. After completing this operation by clicking “Finish”, you will see the data services in the panel at the bottom. 8. Next we need to add an object to bind our data to. 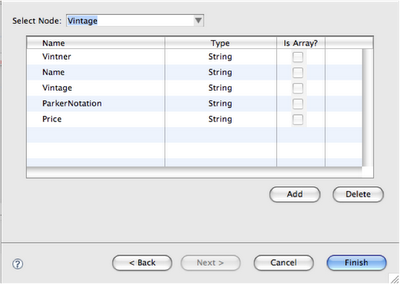 Switch to Design view and drag a DataGrid onto the middle of your application. If you manually add it in Code view, just start typing the angle bracket and "datagrid" and let Flash Builder complete this for you. 10. 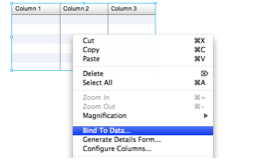 This will bring up the “Bind to Data” dialog box. 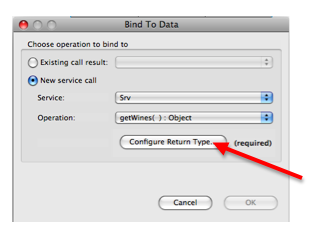 Click on “Configure Return Type” to configure the datatype for the returned object. 11. The next dialog will prompt you for a datatype. NOTE: on other projects, you might wish to use one of the default data types; however on this one, we are going to create our own object type called “WinesArray” as shown below. 13. 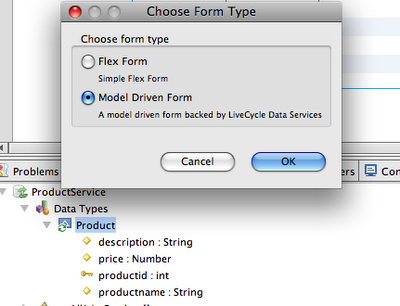 The next dialog will invoke the service request to get a sample of the data to inspect. 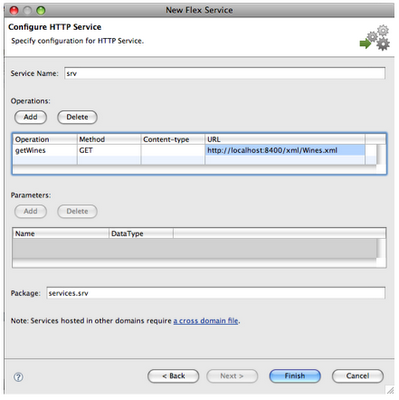 For this lab exercise, select the radio button labeled “Enter complete URL …” and enter the URL of the XML file in the “URL to fetch” box below and click “Next”. 14. 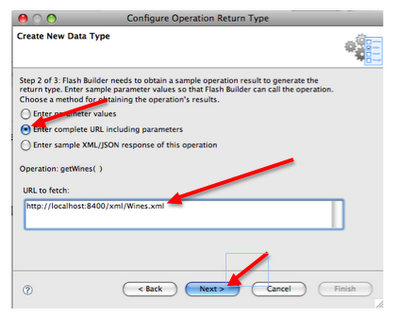 Flash Builder will go to the URL, retrieve a sample of data, and break down its structure for you. In this case, it has selected that it may be an array. 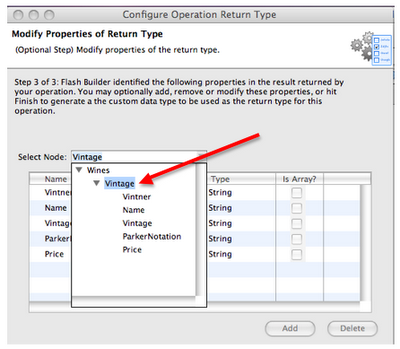 Rather than accept the first option as is, use the drop down list to select a context root of “Vintage” as shown below. 19. 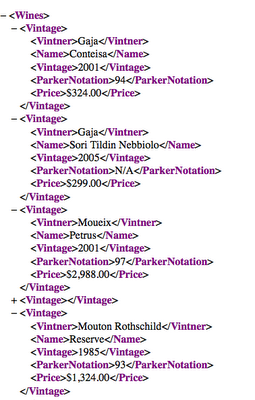 Run the project and you Flex 4/AIR application will build and display the XML from the server. 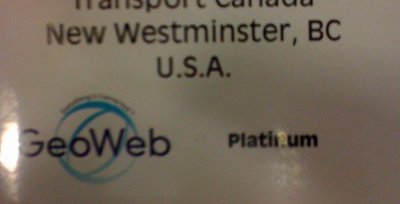 When did the US annex New Westminster, BC?